Well-traveled Gianna’s Dream, whose 17-race career has taken her to 10 tracks in eight states, is set to make her Gulfstream Park debut attempting to extend her recent win streak in Saturday’s $125,000 Claiming Crown Tiara on Opening Day of the 2017-18 Championship Meet. The Tiara, contested at 1 1/16 miles on the grass, is among nine stakes worth $1.11 million in purses on the 11-race Claiming Crown Day program and one of three for fillies and mares 3 and older, along with the $110,000 Glass Slipper at one mile on the main track and the $110,000 Distaff Dash, a five-furlong turf sprint. 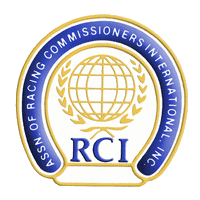 This marks the sixth straight year in South Florida and 19th overall for the Claiming Crown, created in 1999 to honor the blue-collar horses that are the foundation of the racing industry nationwide. 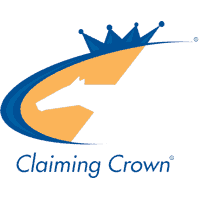 Total handle for the Claiming Crown has surpassed $10 million each of the past three years, topped by a record $11.1 million in 2016. First race post time Saturday is noon. Jordan Wycoff’s Gianna’s Dream, a 4-year-old Oklahoma-bred daughter of Twirling Candy, enters the Tiara off back-to-back stakes victories at Remington Park, where she has earned four of her nine career victories. Each of her last four wins have come at the Tiara’s 1 1/16 miles, including an optional claiming allowance triumph July 15 at Laurel Park and the Oklahoma Classics Distaff Turf Stakes last fall at Remington. In her only other try at the distance, she was third in the Winter Memories Stakes last November at Aqueduct. Trainer Mike Maker claimed Gianna’s Dream for $25,000 last summer at Saratoga, wheeling her back nine days later for the first of six wins from 10 starts for her new connections, four of them in stakes. She also finished third by 1 ¼ lengths in the 1 1/8-mile Violet (G3) Aug. 19 at Monmouth Park. Maker-trained stablemate Peru, bred in England and owned by Ken & Sarah Ramsey, is also entered to make her second start since being claimed out of a neck victory going seven furlongs July 16 at Belmont Park. In two starts since, she came from dead last to finish fourth by less than two lengths in a one-mile allowance Oct. 27 at Keeneland, and came up a nose short following a slow start in a one-mile claiming event Nov. 17 at Churchill Downs. The Ramseys and Maker each hold the record in their respective categories with 15 career Claiming Crown victories. Tyler Gaffalione rides Gianna’s Dream from outside Post 12, while Julien Leparoux is named on Peru from Post 5. Based in Canada with trainer and co-owner Kevin Attard, Starship Jubilee returns to Gulfstream where she owns six wins from 11 career starts and kicked off a five-race win streak over the winter that included the one-mile Nassau (G2) and 1 ¼-mile Dance Smartly (G2) at Woodbine. The 4-year-old Florida-bred Indy Wind filly hasn’t raced since finishing third by less than two lengths in the Canadian (G2) Sept. 16. Starship Jubilee will carry topweight of 124 pounds including jockey Jose Lezcano from Post 9. Martini Glass, owned by Vince Campanella and trainer Keith Nations, has been first or second in seven of eight races this year including runner-up finishes behind Songbird in the Delaware Handicap (G1) and Romantic Vision in the Spinster (G1), both on dirt. She has raced twice on the grass this year, winning a 1 1/16-mile starter in April at Tampa Bay Downs and running sixth in the All Along Stakes Sept. 16 at Laurel Park. Stirrup Trouble’s Temple Fur is the lone horse returning from last year’s Tiara, where the 4-year-old daughter of Temple City ran eighth by 3 ¾ lengths. All five of her career wins have come at Gulfstream, where she won the 1 1/16-mile Mary Todd in February. Also entered are multiple stakes winner Dynatail, stakes-placed Quebec; Arthemisa, Flattermefabulous, Judy’s Chance, Valedictorian and Vendita. Troy and Maritza Onorato’s Mended, riding a nine-race win streak, ships in from Golden Gate Fields for the $110,000 Glass Slipper in what will be the 4-year-old Broken Vow filly’s first career start outside of California. Regular rider Ricardo Gonzalez will be making the cross-country trip to remain aboard Mended, undefeated since being claimed for $12,500 by trainer John Martin out of a fourth-place finish Jan. 6 at Golden Gate – the only blemish on her 2017 record. During her streak Mended has won by a combined 36 ¼ lengths, racing on dirt, turf and synthetics. Her two victories came in optional claiming allowances going a mile July 27 at Del Mar and a mile and 70 yards Sept. 23 during the Oak Tree at Pleasanton meet. Tormenta de Oro and Moonshine Promise, the past two winners of the Glass Slipper, are set to meet in the one-mile race for fillies and mares 3 and up which have started for a claiming price of $12,500 or less since Jan. 1, 2016. Owned and trained by Patrick Marcondes, Tormenta de Oro is winless since last year’s Glass Slipper, where the Benny the Bull mare rated just off the lead before forging a short advantage late and emerging by a neck in a three-way photo finish. In her most recent start, she was no factor running sixth behind Glass Slipper rivals Ventina and Amaluna. Loooch Racing Stables’ Moonshine Promise is a hard-knocking 8-year-old Will He Shine mare with 21 wins from 74 lifetime starts including the 2015 Glass Slipper, a race where she dueled for the lead before pulling away to score by five lengths – one of three wins from five career tries at Gulfstream. Moonshine Promise put together a four-race win streak this spring and summer at Tampa Bay Downs and Thistledown, where she has made each of her last six starts, the most recent coming Oct. 24. She is reunited with trainer Peter Walder after finishing eighth in last year’s Glass Slipper for trainer Anthony Rini, beaten 2 ¼ lengths. Roger Moore’s Amaluna was third by two necks in last year’s Glass Slipper, a half-length ahead of New Life Stable’s Arella Princess, who also returns Saturday. Amaluna has won two of her last three starts for trainer Aubrey Maragh, while Arella Princess will be making her debut since being claimed by trainer Gerald Procino for $6,250 out of an Oct. 28 win at Gulfstream Park West. Babie Monster, Battle Tale, Delusional K K, Falina’s Song, Northern Screamer, Star Eighty and Sugar Cube and Untrue round out the field. Ralph Nicks-trained stablemates Eila, Mojo’s Queen and Shakakan are among a competitive field of 13 set to line up in the $110,000 Distaff Dash for females 3 and up that have run for a tag of $25,000 or less. Eila, also owned by Nicks, was fourth by 2 ½ lengths in last year’s Distaff Dash. She spent the spring and summer racing in Maryland and New York without success but returns to Gulfstream since an optional claiming allowance win April 13 – one of five victories and two seconds from eight career tries over the local turf. Hallmarc Racing’s Mojo’s Queen won her lone start at Gulfstream, a five-furlong maiden claiming turf sprint last December. Nicks also had her up north in the spring and summer but she returned to run third in a five-furlong optional claiming allowance Nov. 3 on the Gulfstream Park West turf. Bell Racing’s Shakakan will be making just her third start of 2017 and first since a front-running neck victory Aug. 12 at Gulfstream in an optional claiming allowance going five furlongs. She beat older horses in a similar spot at Gulfstream Park West last October in her first try back on the grass since breaking her maiden in July 2016 at Gulfstream. Six other horses enter the Distaff Dash off last-out victories – Blue Bahia, Imnaha, In Mid Heir, Island Reward, My Sister Caro and My Sweet Dove. Rounding out the field are 2017 Xtra Heat Stakes winner Ring Knocker; Kasuga, second by a head in the Royal North (G3) July 29 at Woodbine; Heart Astray, who has finished in the top three in seven of eight starts this year; and World Gone Wright.